Just 600 metres from Calangute Beach, this hotel features comfortable rooms with modern decor. It houses a multi-cuisine restaurant, an outdoor pool and a bar. Calangute Grande is 2 km from Baga Beach and 3.5 km from Candolim Beach. Dabolim Airport is 48 km away. 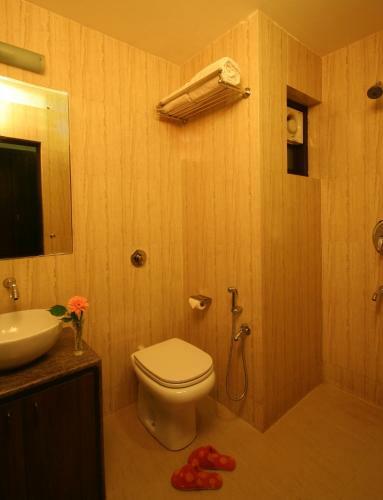 Fitted with tiled flooring, air-conditioned rooms feature a flat-screen TV and tea/coffee making facilities. A private bathroom and a writing desk are included. Room service is available. Guests can make travel arrangements at the tour desk or rent a car to explore Calangute Town. Grande also provides free on-site parking. The 24-hour front desk offers laundry and luggage storage services.